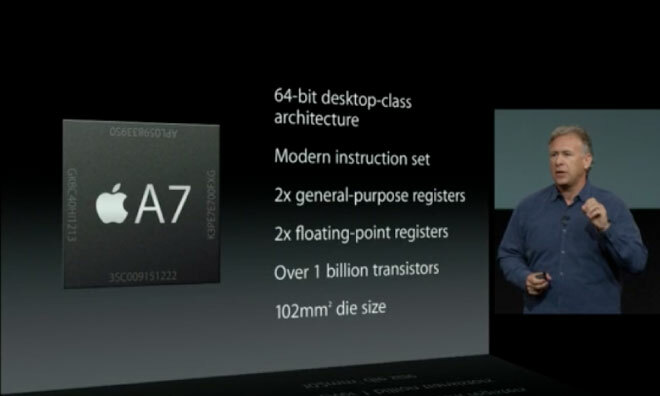 While introducing iPhone 5S, Apple also introduced the A7, a new processor that powers the phone. This is a successor to the A6 chip found in iPhone 5 and offers almost two times more performance. 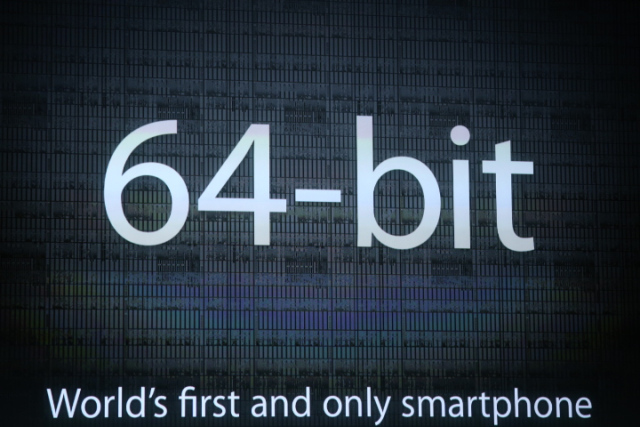 The A7 is also the world’s first 64-bit smartphone processor. And along with its launch analyst says A7 processor in iPhone 5S not revolutionary. While Apple talked how great its new processor is, an analyst told that it is evolutionary and “not revolutionary”. Apple, unlike companies like LG and Sony that use processors made by firms like Qualcomm and Nvidia, designs its own processors. “The A7 is a good step forward, but it’s far from revolutionary,” said Patrick Moorhead, president and principal analyst at Moor Insights & Strategy, which offers technology consultancy to phone and PC companies. Moorhead is a veteran of PC industry and had earlier worked as a corporate vice president at AMD, a company that designs and manufacture processors for computers and tablets. Apple described the A7 as a processor that “brings 64-bit desktop-class architecture to a smartphone for the first time”. Apple doesn’t publicize the amount of RAM in its phones. But iPhone 5 has 1GB RAM and iPhone 5S is not likely to have more than 2GB. The processors that have 32-bit architecture can’t make use of more than 4GB RAM. That makes 64-bit processors useful in servers and high-end machines that require more RAM. However, in smartphones and tablets the tasks that require more than 2GB or 3GB RAM are yet to appear. Processors with 64-bit architecture can also have 64-bit registers that may boost performance. But this requires developers to write code and applications that can utilize the 64-bit hardware in a chip. For now iPhone 5S is the only iOS device with a 64-bit processor. Apps written solely for 64-bit processors will not work on other older iPhones and existing iPads and iPhone 5C. 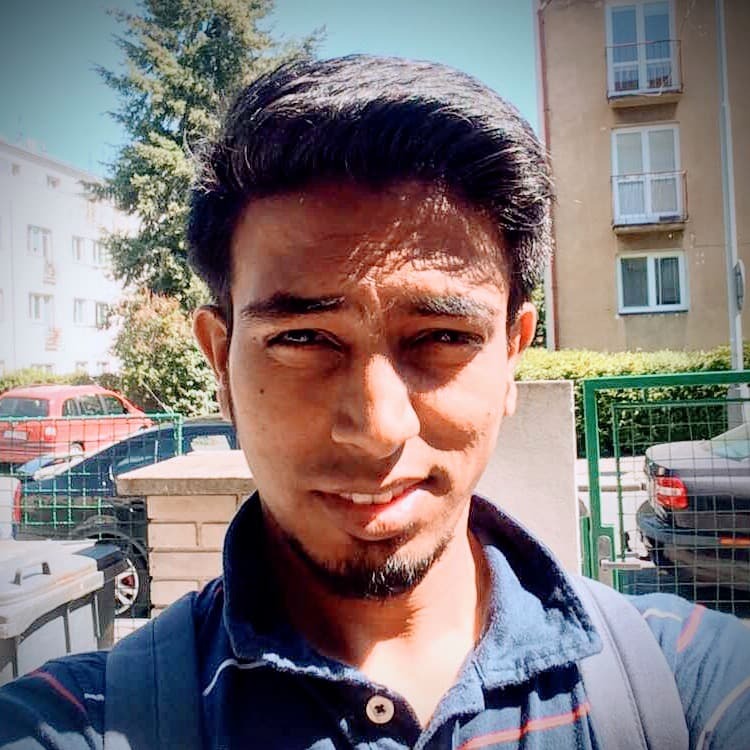 This is the reason why processors in iPhone 5S supports apps written for both 32-bit architecture as well as 64-bit architecture. Unless all iOS devices move to 64-bit processors, developers will mostly write 32-bit apps, making the 64-bit architecture useless in A7. 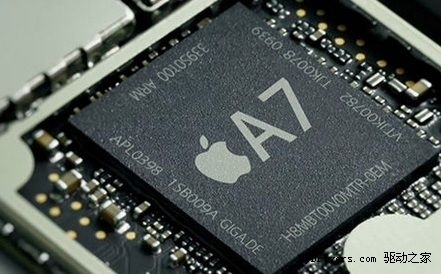 The performance gains claimed by Apple are likely coming from the improved architecture in the the A7 and not because the A6 is a 32-bit processor while the A7 is the 64-bit processor. While we do not have many details about the A7 processor in iPhone 5S, it still looks to be a dual-core chip. Theoretically, a high-end quad-core processor like Qualcomm Snapdragon 800, which powers high-end phones like LG G2 and Xperia Ultra, should offer better performance than the A7. Products based on ARM Cortex-A53 and ARM Cortex-A57 are likely to make the 64-bit processors more commonplace in the world of smartphones by 2015. Moorhead also said that the M7, a companion core in the A7 that will control accelerometer, gyroscope and compass, was not a very unique concept. 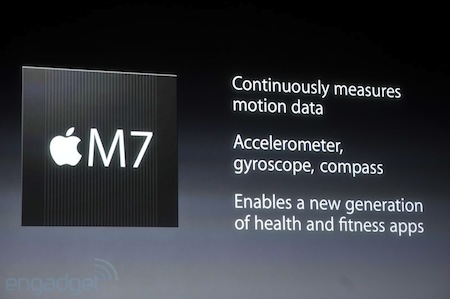 “The M7 isn’t anything new, as others, like Qualcomm have had what is called a sensor hub,” he said. The other big feature in the A7 that Apple highlighted was compatibility with OpenGL 3.0, which should help iOS developer write better looking games. On Android side, phones powered by Qualcomm Snapdragon 600 and Snapdragon 800 are already OpenGL 3.0 compatible.